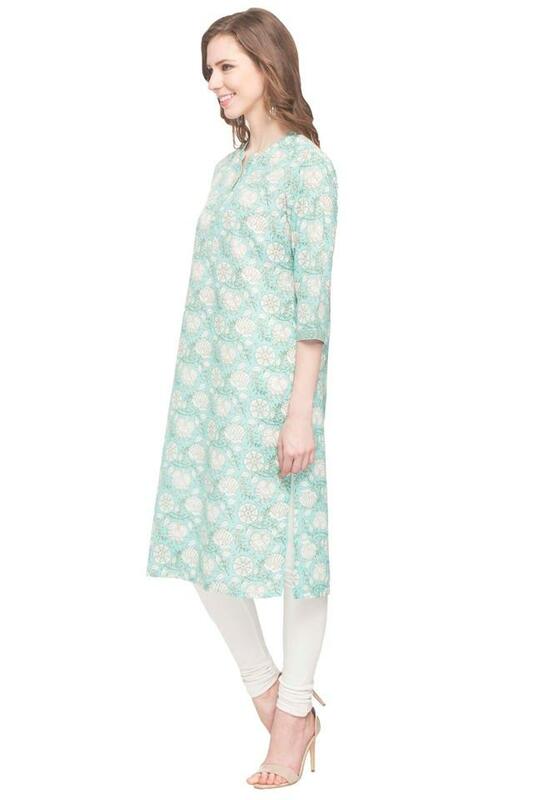 Get your wardrobe overhaul with this kurta from the popular brand, Stop. It features a printed pattern that makes it look beautiful. 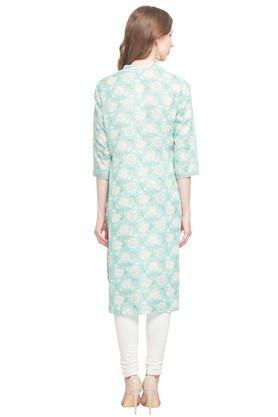 It also flaunts a mandarin neck and three quarter sleeves that lend it a classy appeal. Above all, it is made of fine quality fabric so as to keep you at ease all day long. 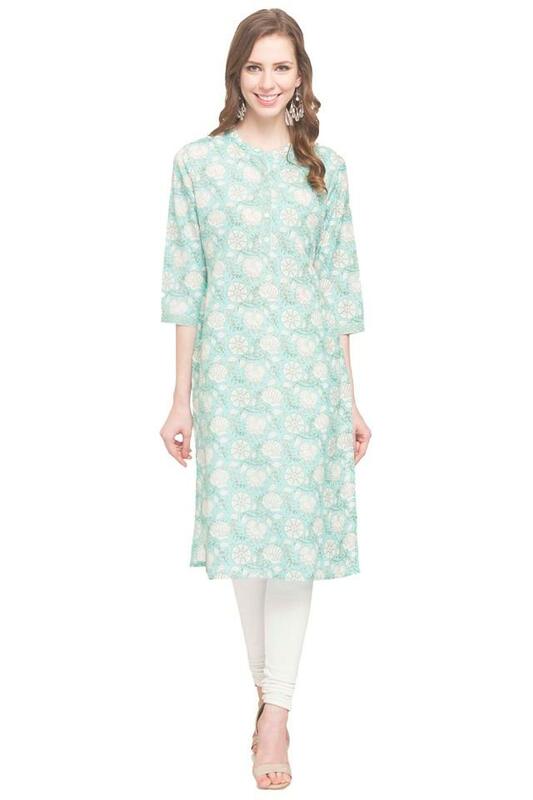 Earn appreciations for your preference by wearing this kurta to any casual occasion. You can club it with a pair of leggings in a contrasting shade and heeled sandals to look beautiful.